I am a late-twenties, soon to be bar admitted attorney in New York, but yet to work in a law-related job, daytrader and blogger. Last November, I started writing for my firm’s blog about trading, finance and economics. With this domain, I am looking to create a collection of my more thought out writings from my work-related blog (some are merely random observations about a given equity or market at one particular instance in time and are not meant to last much beyond that moment), as well as to express my thoughts about a wider range of topics. This will be an outlet for me to further explore, develop and define my thoughts and philosophies and a forum for me to connect with like-minded thinkers (and debate those who disagree). I am an avid sports fan, a passionate reader and a music enthusiast. My favorite teams are the Islanders, Jets and Mets; novels are Infinite Jest, Siddhartha and The Sun Also Rises; economists: Hyman Mynsky and Joseph Stiglitz; and bands are The Beatles, Phish, Grateful Dead and Radiohead. When I finally decided to branch out and write my own blog, I quickly started thinking about titles. For the longest time, nothing really hit me as interesting and since I anticipate talking about a scatterbrained variety of topics, no relevant subject-specific title seemed right. I wanted something that reflected me personally and that this would be my world. I was born in 1982, the year that a movie about an alien who befriends a young earthling took America by storm. My parents insist it is merely coincidental, but I can never be sure. It just so happens that I share the name Elliot (please don’t spell it with 2 T’s…pet peeve) with that little boy and, even worse, the initials and title of the movie with that funny looking alien: E.T. Every step of the way, these initials have followed. It seemed only natural to name my corner of the blogosphere after E.T’s home planet. 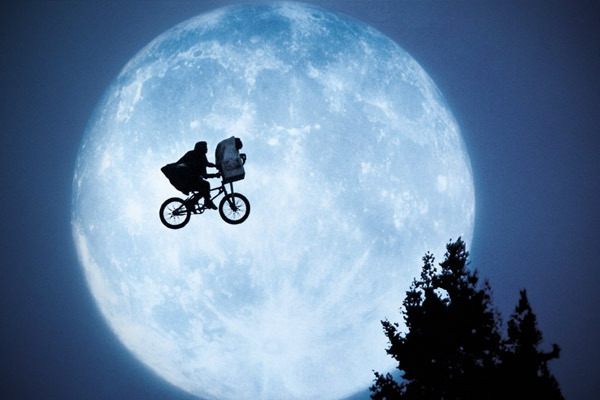 It turns out that there were several names in the book E.T. : The Book of the Green Plant (I had no clue there was a book!) that preceded the movie, Brodi Asogi being the most prominent, all of which mean green planet in one language or another. The idea behind the name became instantly more appealing on learning the green planet connection. I fully believe in the green movement and like the idea of living in a green planet–better air and water improves quality of life in a variety of ways. Over time I will definitely share my views about the green movement, but despite the implications of the title, it will more likely be a theme. Out of the several names, Alata Zerka had the most appeal. While Brodi Asogi is more prominently known in connection with Star Wars (I neither love nor hate Star Wars and am not all that into sci-fi), Alata Zerka is uniquely connected to E.T. Categories: Personal Tags: alata zerka, E.T.